A long Highway 177 lies Dobbins Heights, a small, predominantly African-American community, on the northern edge of Hamlet. The main drag features a community center and a series of modest, tidy homes, as well as quite a few that are collapsing into themselves. The CSX rail line parallels the neighborhood. The trains and an associated manufacturing plant, while an economic boost for Richmond County, emit diesel exhaust and other pollutants, many of which drift into Dobbins Heights. 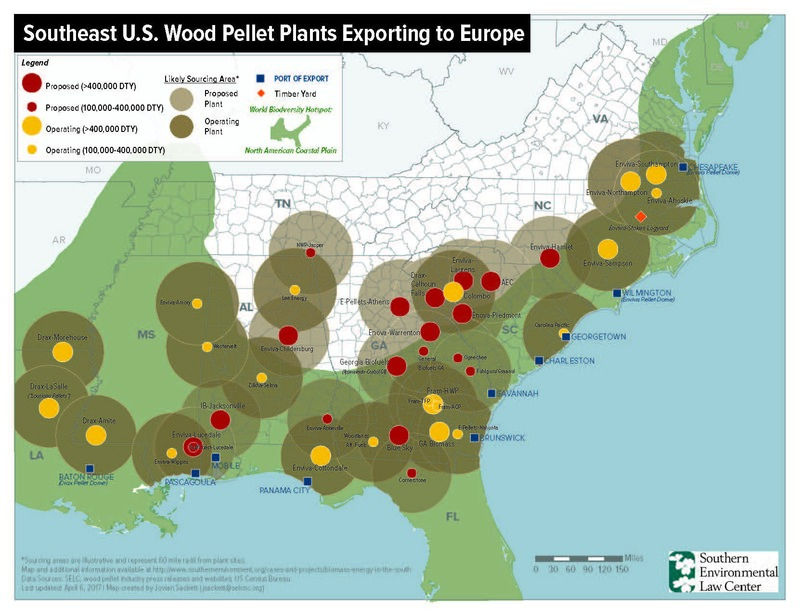 In the CSX complex, near Dobbins Heights, is where Enviva, the nation’s largest exporter of wood pellets, plans to build its fourth manufacturing plant in North Carolina. The NC Department of Environmental Quality recently issued an air permit to the company — and did so improperly, alleges the Southern Environmental Law Center. The SELC filed a petition for a contested case in the Office of Administrative Hearings to challenge DEQ’s issuance of a new permit with a new address, “while failing to correct the deficient public notice and improper denial of a public hearing that accompanied the original draft permit.” The SELC is representing Concerned Citizens of Richmond County which opposes the plant. Proposed by Enviva, the plant would grind hardwood trees, such as bald cypress, willow oak and sweet gum from sensitive wetlands forest, plus varieties of pine into small pellets. Those pellets are then shipped from the Port of Wilmington, across the Atlantic and on to the United Kingdom to be burned as fuel for electric power plants. Enviva, which is based in Maryland, already operates plants in Northampton, Hertford and Sampson counties, as well as other Southeastern states. 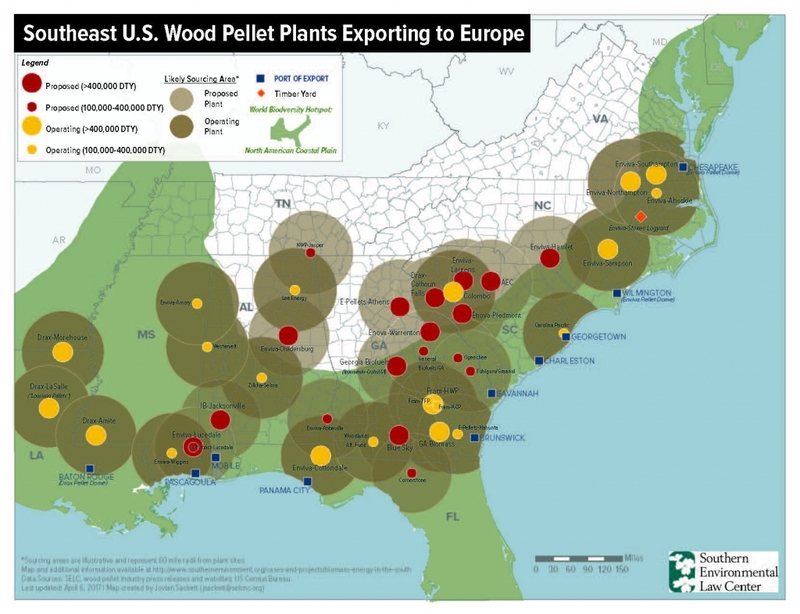 In addition to the clear-cutting required to manufacture millions of tons of wood pellets (and replanting trees does not replicate the natural ecology of a forest) these plants other significant environmental problems. First, burning wood produces more carbon dioxide then coal. Second, while the new trees are growing in the human-made forests, they do not take up the amount of carbon dioxide as their more mature counterparts. And the plants themselves present air quality issues; they emit particulate matter, sulfur dioxide, volatile organic compounds and other hazardous pollutants. Air permits limit the amount of these pollutants the plant can emit. The existing air permit, the SELC says, is inadequate to protect the health of nearby residents. The Chapel Hill-based firm is asking DEQ to require stricter pollution controls in a new permit. The comment period for the original air permit ran from Sept. 18, 2015, through Oct. 29, 2015. A notice of that comment period ran in the Richmond Journal on Sept. 18. But that permit lacked a required specific address, noting only that the plant would be located at Highway 177, Hamlet. It also listed a zip code for a different county. Given the confusion over its location — and the lack of a public hearing — many residents didn’t know they would be living near the plant. Once the community became aware of the permit and the air pollution it allows, the SELC says, representatives of the community met with DEQ officials, notified DEQ of its error and urged it to issue a new draft permit that provided proper notice to the affected community and a public hearing so that people near the proposed plant could voice their concerns. The amended permit added the correct address and a general condition on testing and reporting that “had inadvertently been left out of the original permit, said Sarah Young, spokeswoman for the Division of Air Quality. She added that administrative amendments do not require public notice. The permit runs through 2021. Richmond County already has several industrial plants that emit pollution: Cascades Moulded Pulp, plus a separate paper Tissue Group; Laticrete, which manufactures chemical epoxies; Vulcan Materials, which crushes stone and gravel; and Arauco, a wood-panel manufacturer. The issue of public participation is particularly sensitive regarding the plant. As NCPW reported in March, Richmond County Commissioners have violated the First Amendment — for more than 20 years — by restricting the topics that can be broached during the public open forum at commission meetings. This rule has effectively shut down public opposition to the plant, at least before the commission. Only last week were citizens given the opportunity to speak on the plant, and then, just two were allowed to do so. The comment period for this permit began on September 18, 2015 and ended on October 19, 2015. Greetings, I think wood pellet plants should be banned altogether. 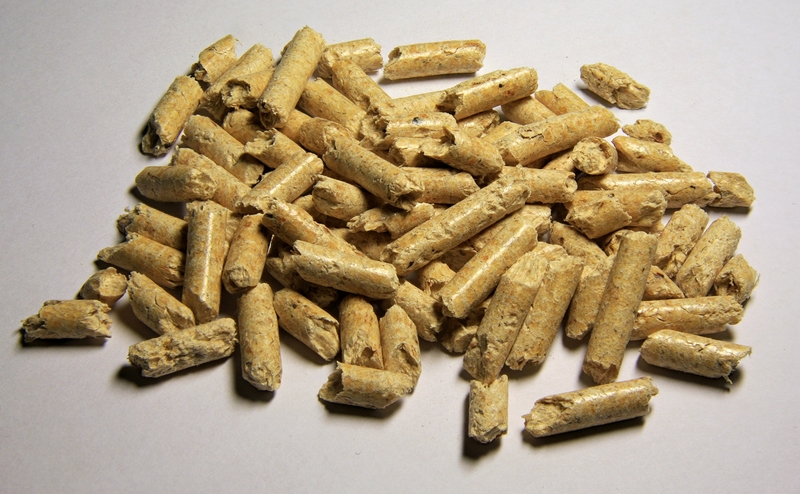 The UK needs to discontinue the use of wood pellets. Supposedly they were only going to use logging waste. That has been proven to not be the case. A great deal of wood less than 4″ in diameter is left behind. The reason is that Enviva has not developed a way to transport that wood to their plants. Cypress is only used in interior woodwork these days if one can even afford it. it is far too valuable to use as pellets. Southern Yellow Pine is also for the most part too useful to use as pellets.